Chancellorsville Battlefield is part of Fredericksburg and Spotsylvania National Military Park - a unit of the National Park Service in Fredericksburg, Virginia, and elsewhere in Spotsylvania County, commemorating four major battles in the American Civil War. Chancellorsville is considered the greatest victory of General Robert E. Lee's career. Outnumbered more than two to one and outmaneuvered in the early stages of the battle, Lee, by daring and confidence in his troops, succeeded in throwing the Union army back across the Rappahannock River. 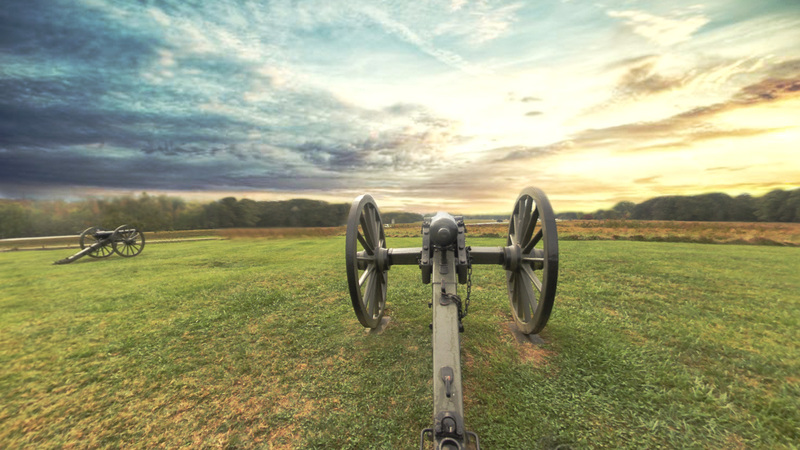 In the Chancellorsville Visitor Center exhibits and a 20-minute film explain the battle. Outside the visitor center is a short trail that leads to a monument marking the approximate location of General "Stonewall" Jackson's fateful wounding on the night of May 2nd. Free, guided tours describing the circumstances surrounding Jackson's wounding are available during the summer months. After viewing the monument, visitors can follow the park driving tour route past the Lee-Jackson Bivouac Site, the Catharine Furnace, Fairview, and other points of interest on the battlefield. Military enthusiasts may wish to extend their tour by taking the Jackson Trail, a gravel road that follows the route of Jackson's May 2nd flank march.